The Asturian shipyard was in insolvency proceedings and could not carry on with the construction of the vessel due to the lack of funding and the lack of workers whose employment contracts have been ended by the judge. The continuation of the construction would have been very burdensome, which would have meant the termination of the vessel construction contract, and the funding and tax structure would have been torn down. The latter would have increased the debtors’ liabilities and would have derived in the enforcement of financial guarantees granted for the construction, together with rise or aggravation of damages on the shipowner and the project investors. Transfer of the vessel to another shipyard aiming to finish it and deliver it to the shipowner. To such objective, a complex sale and transfer was set up under the leadership of our client. It consisted on the towage of the vessel to a Cantabrian shipyard for it to be finally fitted in order to deliver it under the provided structure to the shipowner. The transaction was successfully over in 2010. The construction termination and the tax structure tear down were avoided, altogether with the guarantees enforcement and the subsequent damages for our client and other party agents involved. All of the above was carried out with benefits for the insolvency proceedings debtor and for its creditors. 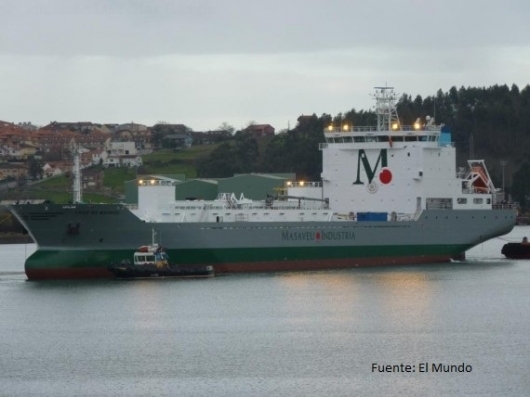 As a result, a cement carrier vessel with Spanish flag endowed with cutting-edge technology in thrust, maneuver and fuel economy was built.